I confess, I wasn’t feeling very hopeful yesterday. The Advent-Christmas season is probably the toughest sacrifice for me as a clergy spouse. I deeply grieve my pre-clergy spouse traditions. And I flail and thrash when the un-reliability of clergy family life threatens whatever thread of new traditions we try to establish. So I hit my knees in prayer yesterday afternoon, as I’m finding that I seem to talk with God better in this position. After 20 years, I know I will not be delivered FROM the craziness of this season, but I know God can deliver me THROUGH this season. And not just to survive it. I can thrive, and recognize God’s blessings in the craziness. But only when I consecrate myself to God’s ways, not mine. Not sayin’ I’m great at this. I’m no vision of a bonfire. 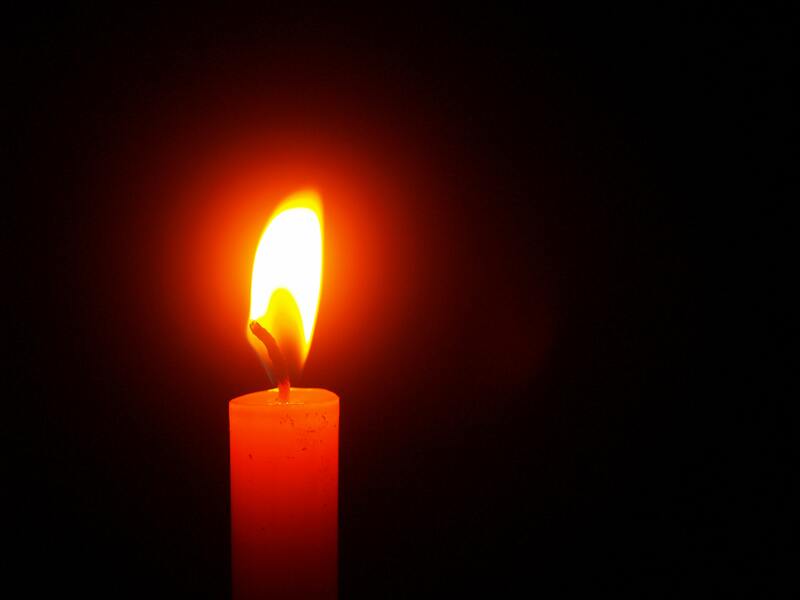 But prayer lit the tiny candle of HOPE in my darkness yesterday.